Camilla completed a traditional education in ceramics at an early age. She worked as an apprentice at the Gamla Stans Krukmakeri Pottery in the Old Town of Stockholm for 2 years 1992-93. Then she continued specializing in wood firing at the Studio of Daniel König in the Stockholm archipelago for yet another year. Moving to Finland she began her Ba studies at the UIAH University of Art and Design Helsinki.With an exchange period at the Rietveld Academie in Amsterdam she graduated in 1999. She then went on to study for an Ma at the Royal College of Art in London. After her graduation in 2001 she has worked for companies in Italy, Switzerland, England and Japan. She was invited as a designer in residence to Gifu prefecture in Japan 2001 and has since been working on several projects for ceramic companies in the area of Mizunami and Seto etc. Many of her projects such as the Camouflage project and the Section vases etc have been exhibited widely in design events and museums from Finland to New York, Milan, Tokyo and London. Camilla now lives in Helsinki, Finland and is conducting research in Design and Crafts. She defended her Doctoral Dissertation in Design at the Aalto University, School of Arts, Design and Architecture in 2017. 2012-2017 DA, Doctor of Arts (with Distinction), Aalto University, School of Arts, Design and Architecture, Helsinki, Finland. Title of dissertation: Making Sense Through Hands: Design and Craft Practice Analysed as Embodied Cognition. 1999-2001 MA, Royal College of Art, London, UK. Ceramics and Glass. 1996-1999 BA, University of Art and Design, Helsinki, Finland. Ceramics and Glass. 2019- Post-doctoral position at University of Gothenburg, Sweden. 2018 – Associate Professor in Art and Craft 20%, USN University of Southeast Norway, Telemark, Norway. Department of Visual and Performing Arts. 2018 Post-doctoral Researcher in the Fashion / Textile Futures Research Group, Aalto University, School of Arts, Design and Architecture, Helsinki, Finland. 10 months. 2017 Visiting Researcher at USN University of Southeast Norway, Telemark. Department of Visual and Performing Arts, in the EMAL – Embodied Making and Learning research group. 9 months. 2017 Project manager of the Art of Research Conference (3 months).Aalto University, School of Arts, Design and Architecture, Helsinki, Finland. 2013 – 2016 Main funded researcher position and general project manager in the Handling Mind Research Consortium consisting of 13 Senior and Junior members. Funded by the Academy of Finland. 2002 – 2003 Visiting Designer, Gifu Design Council, Japan. 2001 Designer in Residence Gifu Design Council, Japan. 1999 Landscape architecture, Public art project, Kotkan Energia, Finland. 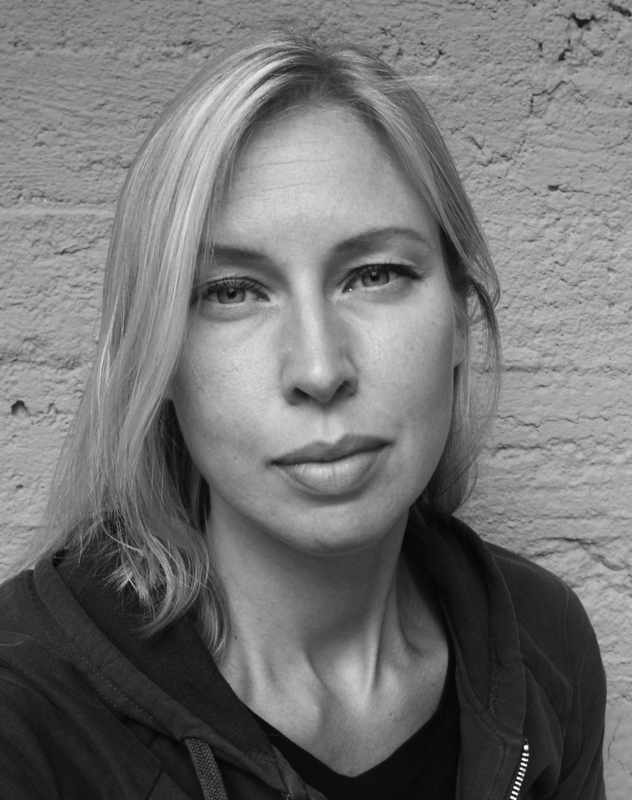 1994 – Camilla Groth Studio – Founder of ceramics and glass design company. 2013 Basic Project management course 1 Week. Aalto University, Helsinki, Finland. 1998 6 months Socrates study exchange period at Gerrit Rietveld Academie, Amsterdam, The Netherlands. Ceramic department. 1994-1996 Art history and Aesthetics. Open University, Helsinki, Finland. 1993-1994 Ceramic craft apprenticeship, Master Daniel König, specializing in woodfirings. Ingarö, Sweden. 1991-1993 Ceramic craft apprenticeship, Master Åke Jernewall, Gamla Stans Krukmakeri, Stockholm, Sweden. 1989 – 1991 Practical aesthetic education, specialized in ceramics. Fredrika Bremer Gymnasium, Stockholm, Sweden. SAR Society for Artistic Research. NORDFO Nordiskt Forum för Forskning och utvecklings-arbete inom utbildning I slöjd. ORNAMO Finnish Association of Designers. Reviewer of the following academic peer reviewed journals and conference proceedings: Cumulus Conference, 2018, Wuxi, China. Formakademisk Journal, Multimodal Technologies and Interaction Journal. International Conference of the Learning Sciences (ICLS) London, June 23-27, 2018, DRS Design Research Society Conference 2018, RUUKKU: Studies in Artistic Research Journal, Art of Research Conference, 29-30 November 2017, Aalto University, Helsinki, Finland, CERVA conference on Ceramic Values 2017, TECHNE Journal, Craft Research Journal, DRS Design Research Society Conference 2016. 2018 Track Chair and Presenter at the Eksig special interest track: Design Research Society (DRS) Conference 25-28 June, Limerick, Ireland. 2016 Session Chair and Presenter at the Embodied Making and Learning session, Design Research Society (DRS) Conference 27-30 June, Brighton, UK. 2015 Invited participation in the Artistic needs and Institutional Desires symposium and round-table discussions on artistic 3-rd cycle education. Berlin University of the Arts, Berlin, 13-15 November. 2014 Session Chair and Presenter at the Design Research Society Conference, Umeå, Sweden during June 16-19. 2014 Facilitator of the Art of Research Conference, 26-27 November 2014, Aalto University, Helsinki, Finland. (http://designresearch.aalto.fi/events/aor2014/) 115 Participants. 2014 Coordinator of Academy of Finland, Handling Mind public research seminar at the Design Forum showroom, Helsinki, 27.03.2014. About 50 Participants. 2018 Invited lecture: Methods for studying own practice. Centre for studies in practical knowledge. Södertörns University, Stockholm, Sweden. 14 of November. 2018 Invited Open lecture: Material Research and New Materiality: What’s the Matter with Art? Lecture and panel discussion with Dr Tim Smith, at the Aalto Festival Opening, Aalto University, Espoo, Finland, May 17. 2018 Invited lecture: Embodied Research Methods. University of Southeast Norway, PHD course on artistic research, April 10. 2018 Invited lecture: Making Sense: Researching making through making. University of Gothenburg, Department of Conservation, March 1. 2018 Invited lecture: Making sense through the body in design in the “Re-thinking design” course for Ma Students in design. Aalto University, department of Design. Jan 10. 2017 Invited lecture: Embodied Cognition and Materiality, University of Linköping, Sweden, Nov 15. 2017 Invited lecture: Human – Material Interaction, Aalto University UWAS course on Design Learning. Dec 4. 2016 Invited member of public panel discussion on multidisciplinary research during the Aalto University U-create! Seminar, Helsinki, Nov 2-3. One of 6 members. 2015 Invited lecture: Practice-led research, in the course Body based practices, Doctoral degree course, Telemark University College, Bö Campus, Norway. 3 December. 2015 Invited presentation during the Artistic needs and institutional desires symposium and round-table discussions on artistic 3-rd cycle education: Researching making through making: the practitioners point of view. Berlin University of the Arts, Berlin, 13-15 November. 2015 Invited lecture for Ba students at the Reykjavik school of visual arts: How does the crafts person think through her hands? Iceland. 13 March. 2015 Invited presentation for Doctoral degree students and collegial teachers and professors, at Architecture departments public research seminar: Researching practice through practice: the practitioners point of view. Aalto University, Otaniemi Campus. 17 September. 2018 Conference presentation at the Nordic Art’s and Health Conference, November 7th, Arts Academy of Turku University of Applied Sciences, Finland: Human-centered v.s technology-driven smart textiles design processes in the context of prematurely born babies. 2018 Poster session at the British Association for Music Therapy (BAMT) Conference, Music, Diversity and Wholeness, Barbican, London, 16-18th February: Haptic Art Experiences Described as Vocals, Sounds and Written Words by Deafblind. 2017 Conference presentation at the SAR International Conference on Artistic Research, April 28-29, 2017, Helsinki Finland: In dialogue with the material environment: Creativity, materiality and skill. 2016 Conference presentations at the Make it NOW! Learning, Exploring, Understanding – International NordFo-Conference in Rauma, Finland 28-30 September. “Video as a tool for knowing in craft practice” and “Methods for research on experiential and embodied knowledge”. 2015 Seminar Presentation at Learn x Design Conference, Chicago, US, 28 June – 1 July: Design and craft thinking analysed as a form of embodied cognition. 2014 Conference presentation in the Art in Translation conference, Reykjavik, Iceland, September 17-20. “Articulating experiential knowing”. 2014 Poster session on the Handling Mind project achievements: Academy of Finland, Human Mind Seminar at Glo Hotel Helsinki. 29.09.2014. About 100 Participants. 2018 External examiner (opponent) of a half time Doctoral seminar in Culinary Arts, Örebro University, Sweden. 2019 – Teacher in the University Wide Art Studies (UWAS) course Human-Material Interaction. Aalto University, 15 BA and MA students. ETC: 2. 2016 – Teacher of Ma Thesis Seminars. Department of Design, Aalto University. 60-70 MA Students. ETC: 2. 2013 – Annual public lectures on Touch in the course Aistien Maailma – World of the Senses, Department of Art, Aalto University. 80-100 BA and MA students. 2013-2016 Material Research lectures “Ajattelu materiaalin kautta” (Thinking through material), Department of Design, Aalto University. 20-30 BA and MA students. 2015 Coordinator of the Personal Project student conference, Aalto University, Department of Design, 2-3 Sept 2015. (pet2015.aalto.fi). 120 BA Students. 2014 – 2015 Personal Project Tutor, Department of Design, Aalto University. 10 BA Students. ETC: 8. 2014 Assisting teacher in the Design Exploration and Experimentation Module, Department of Design, Aalto University. 12 MA Students. ETC: 10. 2002 Visiting lecturer, BA students, Central St Martins School of Art. London, UK. 2001 Lecture series (5 lectures) at Mizunami Ceramic Research Center, Japan. 1995 – 1999 Ceramic course teacher, Open University Arbis, Finland. 2013 Finnish Cultural Foundation; Funding for international exhibitions for the Design Migration Association. 2011 Swedish Cultural Foundation in Finland; Exhibition in the Design Museum. 2008 Finnish Cultural Foundation; Building of my ceramic workshop. 2006 Finnish Cultural Foundation;Design prototype development. 2004 Good Design Award: “Pokela” recycle clay tableware. 2003 Arts Promotion Centre, Finland; Exhibition in London, UK. 2002 Swedish Cultural Foundation in Finland; Exhibition. 2001 Swedish Cultural Foundation in Finland; Scholarship for Studies abroad. 2001 Finnish Cultural Foundation: Scholarship for Studies abroad. 2001 The Royal Society of Art’s (RSA) 1 price winner of design competition; Student design award; Wedgwood travel award.